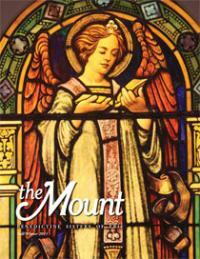 See our just-released winter issue of The Mount magazine here on our community's new website. I just love what graphic artists around the world do with the google logo. Most of them are posted on google only in one country but some are posted worldwide. Here's one from November 30 posted here in the US: a tribute to Mark Twain on his birthday. And, an inspiration from Mary Oliver on the coming of the winter season, particularly for those of us for whom winter is spelled s-n-o-w! the house where I lived grew distant and at first it seemed imperative to hurry home. staring at all the crisp, exciting, snow-filled roads that led away.